I Must Have Been out of My Head…. 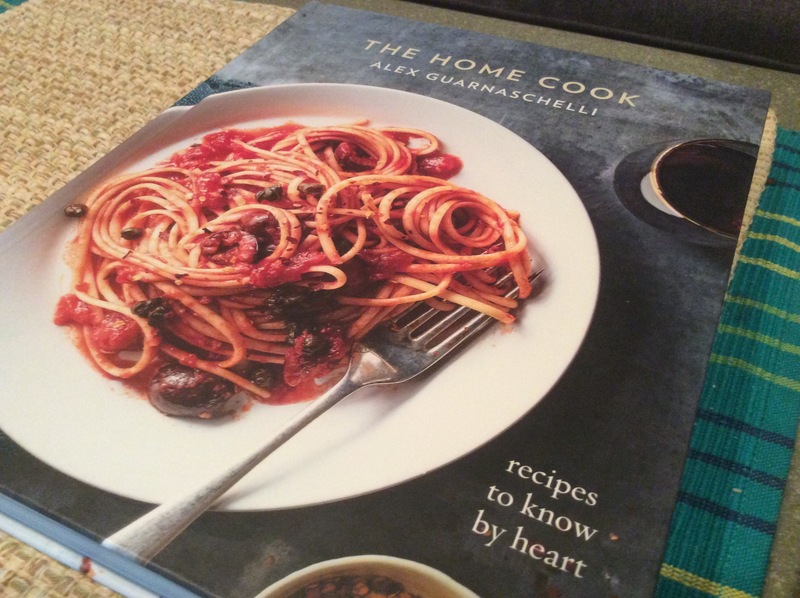 There was a time when I didn’t mind cooking and happily used a cook book in the process. So while on Amazon, I saw Alex Guarnaschelli’s new cook book and figured “why not?” Alex was one of the few people on the Food Network. I enjoyed watching. The book is titled ” The Home Cook- Recipes to know by heart.” Sure, it sounded as though I could handle it. That was until I sat down after dinner and read the whole freaking book. I got tired just thinking about it. The recipes are excellent and look awfully tasty. I need to make some time out of my weekend to be able to work on this. The recipes look really good. Why does cooking for dummies look like their recipes taste like dirt?